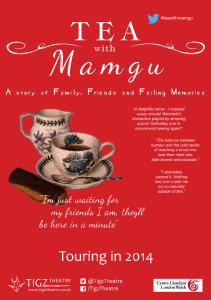 The hugely successful “Tea with Mamgu” will be returning to the stage in 2014 for a much anticipated tour. Already showcased at the London Welsh Centre, the Billericay Arts Association and through a small scale tour of Wales, “Tea with Mamgu” has received rave reviews, and sell-out performances. As Jinny’s mind starts to wonder we catch a glimpse of her past and her present, trapped between memories of her youth and the knowledge that she has lost her grandson Dylan, or worse that she herself is lost. 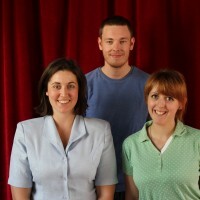 The production, cast using a mix of English and Welsh actors, explores what it might be like to suffer from Dementia both as a patient and as a carer. For more information, or to enquire about a performance at your venue, please get in touch via our contacts page.